The arrival of Xarelto to the market was a massive success for Bayer, as the medication re turned earnings of over $582 million in its first year as an alternative for Warfarin. By 2013, it brought in over $2 billion in profit, but this came at a grave cost for many of the patients that were prescribed the medication with the assurance that they would not need to undergo any regular blood testing and that the medication did not pose a significant risk of internal bleeding when compared with its competition. Now the first bellwether cases are due to be heard and their results will have an impact on the 14,000 claims that remain pending. Warfarin is prescribed for patients that are at an increased risk of stroke due to blood clotting and for atrial fibrillation, and doctors must perform regular blood checks to ensure that the patients are not at risk for serious internal bleeding. The claims Bayer made about Xarelto suggested that these same tests were not necessary and that patients were at a significantly lower risk of bleeding internally when compared with Warfarin. It is now being alleged that the clinical trials performed before bringing the drug to market were designed to cast Xarelto in a positive light while giving the appearance that Warfarin placed patients at greater risk. While the FDA has stated that it feels the clinical trials did not skew the results, it is clear that patients prescribed with Xarelto are at risk of experiencing severe bleeding and that this risk was concealed from the public. The marketing of the medication suggested that the risk was so insignificant that blood monitoring was not required to ensure patients’ safety. The first case to be heard will involve Joseph Boudreaux, who needed several blood transfusions to save his life after suffering from uncontrolled bleeding. He was hospitalized only a month after beginning treatment with Xarelto and alleges that Bayer completely misrepresented the safety and efficacy of the medication as a viable alternative to Warfarin. While patients on Warfarin must undergo regular monitoring to ensure that they are prescribed the proper dose and are not at risk for bleeding, they have the assurance of an antidote, which can be administered in the event of uncontrolled bleeding to neutralize the medication’s effect. Bayer was so presumptuous in its claims that it failed to develop an antidote for Xarelto in the similar case of an uncontrolled bleed. This decision has had disastrous consequences for patients who were hospitalized due to complications with the medication. With no antidote available, plaintiffs are arguing that it is Xarelto itself that requires more blood monitoring and observation than Warfarin and have declared the entire foundation of Xarelto’s marketing to be deceptive and fraudulent. The Boudreaux case will be heard in March of 2017 and will be followed with additional bellwether cases in April and May. The purpose of a bellwether case is to establish precedent that may be used in the cases to follow, so these cases can have a profound impact on the 14,000 cases that are in the wings. 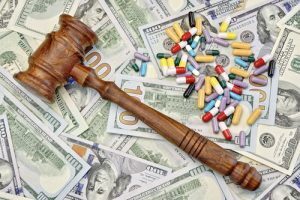 If enough cases are ruled in favor of the plaintiffs, Bayer may be forced to consider offering a settlement, which claimants can choose to accept or deny. If a plaintiff feels it is in his or her best interest, he or she may decline to be named in the settlement class and press forward with legal action. It is important to discuss your options with an attorney before making any decision that may impact your legal rights in the future.